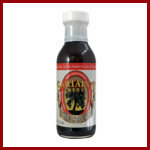 We are pleased to offer Sartain's Menu Grilling Sauces, a new addition to the Primo's Family! you have arrived at The Sauce and The Marinade's new home! The Sartain's line was acquired by Primo's Gourmet in May, 2017. Everything else you know and love about Sartain's Menu remains the same! 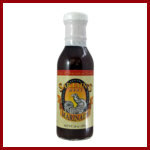 Exotic, thick & rich The Sauce explodes in your mouth with fascinating flavors & a nice heat flare. The chipotle, onion & garlic are balanced against smooth tequila, brown sugar & a touch of soy. The Sauce is nothing like you have ever tasted, folks! Industrial-sized for grilling royalty! 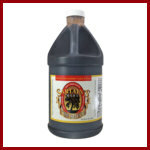 Exotic, thick & rich The Sauce explodes in your mouth with fascinating flavors & a nice heat flare. The coarsely chopped chipotle, onion & garlic are balanced against smooth tequila, brown sugar & a touch of soy. The Marinade has a similar flavor profile to The Sauce, but with a markedly higher level of soy, and less heat. The exotic contrast of chipotle, molasses, lime & tequila are still there, creating a unique east verse west battle for your palette. Please take a moment to 'Like' Primo's Gourmet Food Company on our Facebook Page! © 2017 Primo's Gourmet Food, Inc., All Rights Reserved.